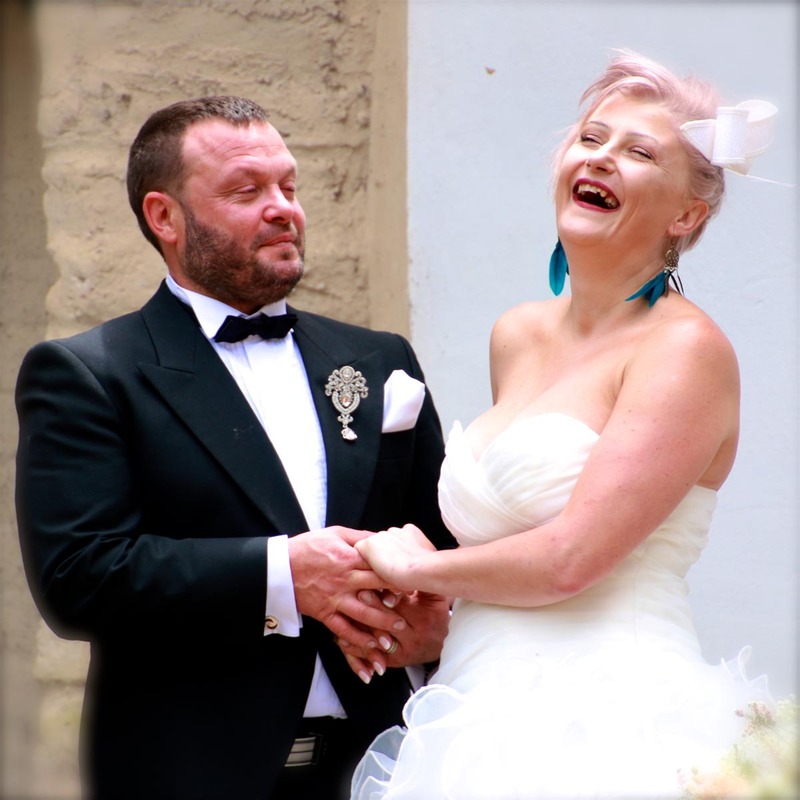 Simon and Shelly meet at a music festival, with their love blossoming to the heart pounding music in a crowded mosh pit. 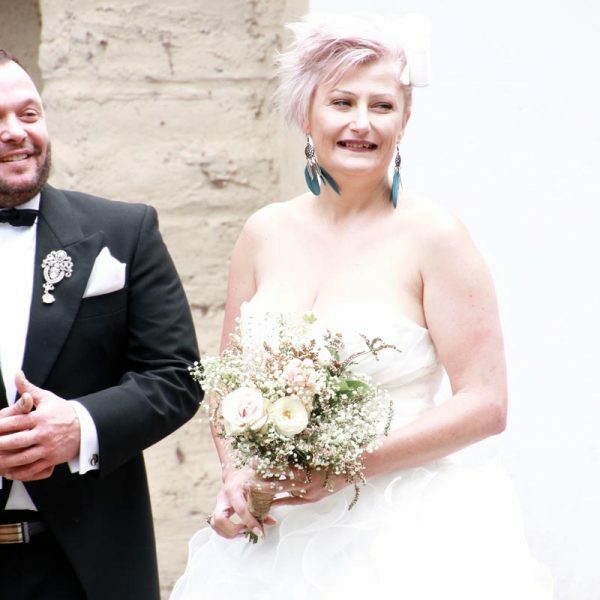 As time went by, the pair discovered they had far more in common than just their love of music, with their relationship growing from strength to strength. 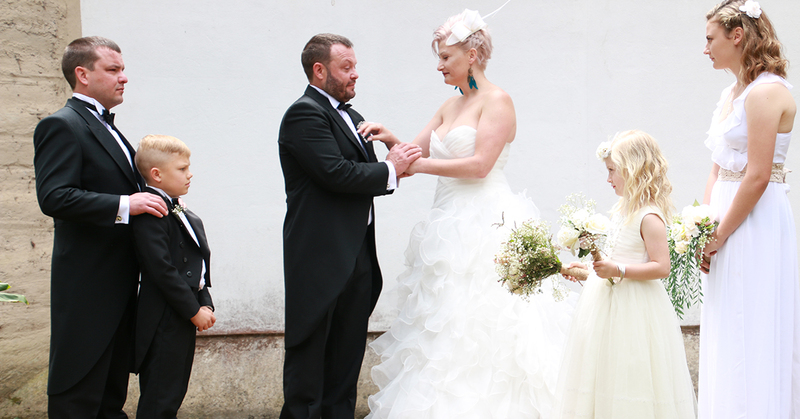 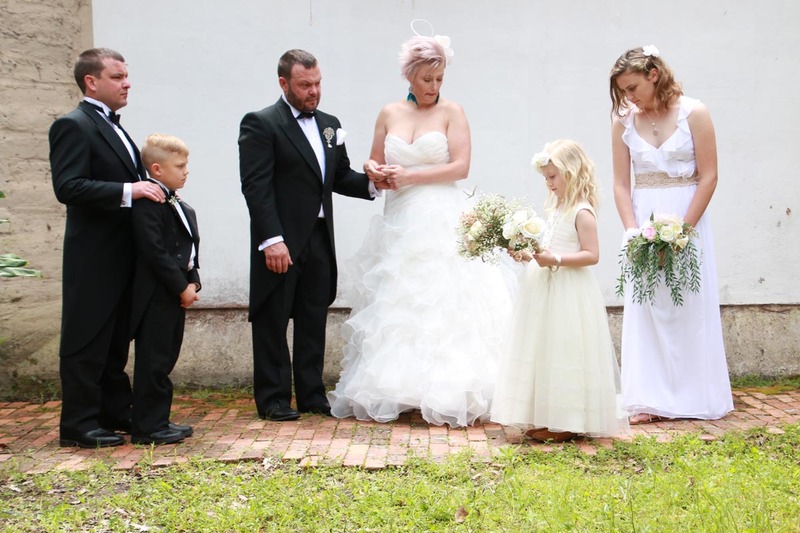 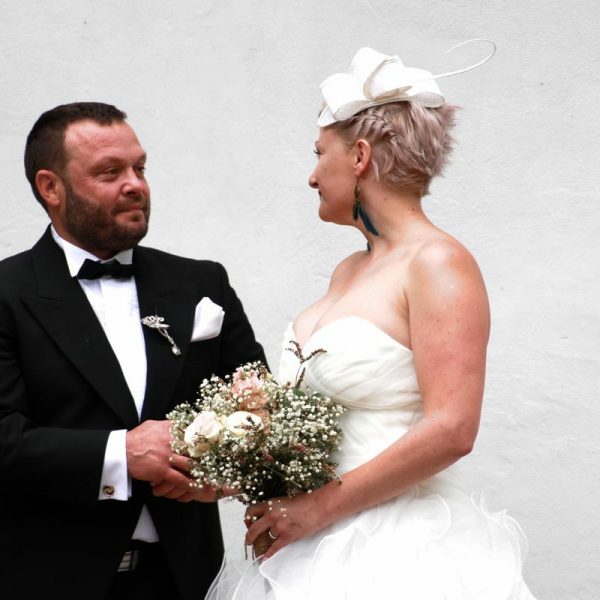 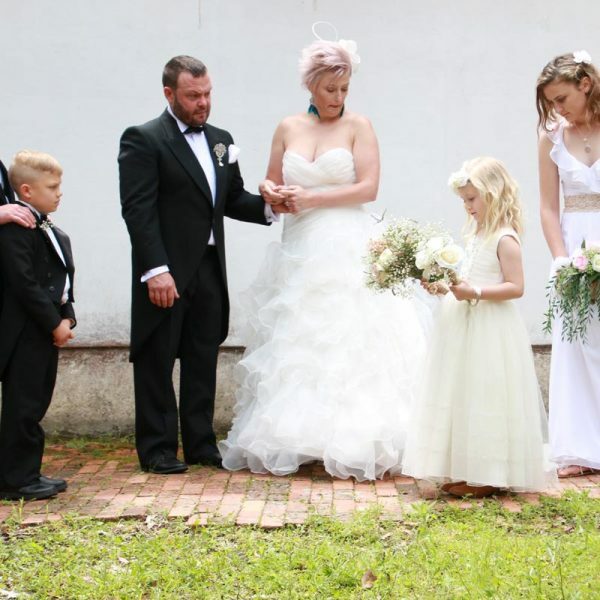 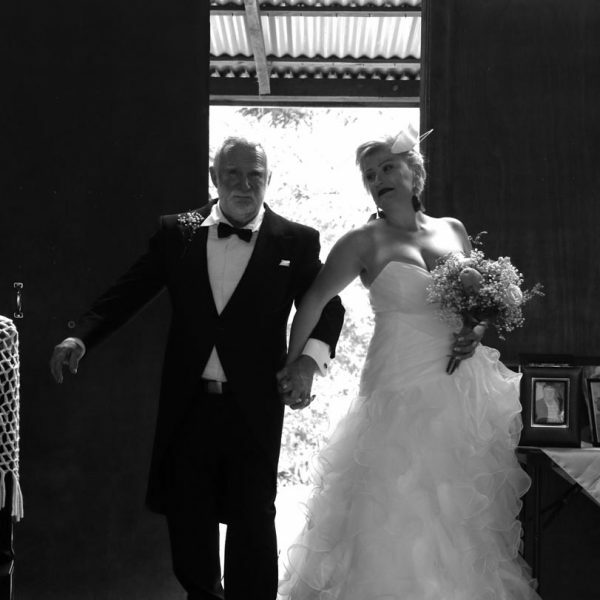 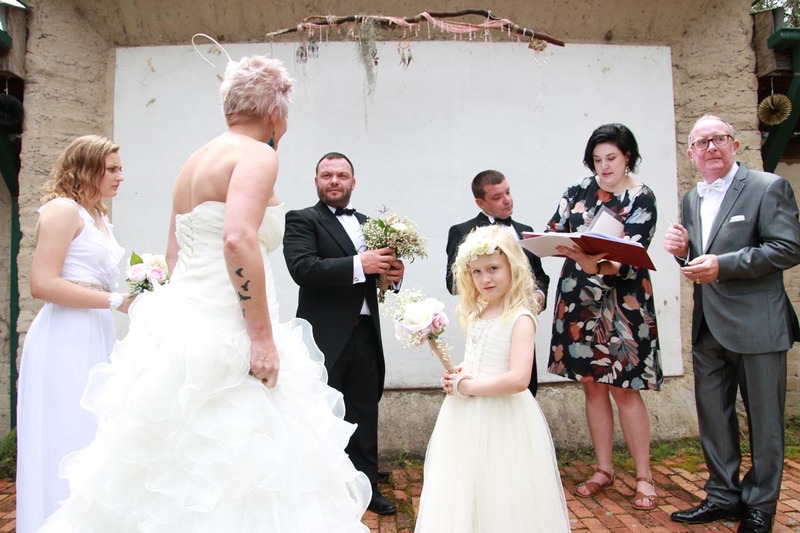 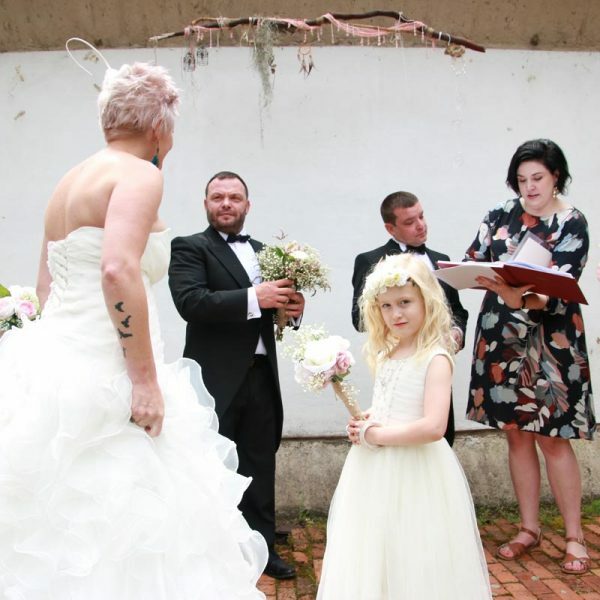 On October 13, 2018, Simon and Shelly promised to share all life has to offer in front of 138 friends and family at Stroud Monastery, a rare and unique property in the Hunter Valley. 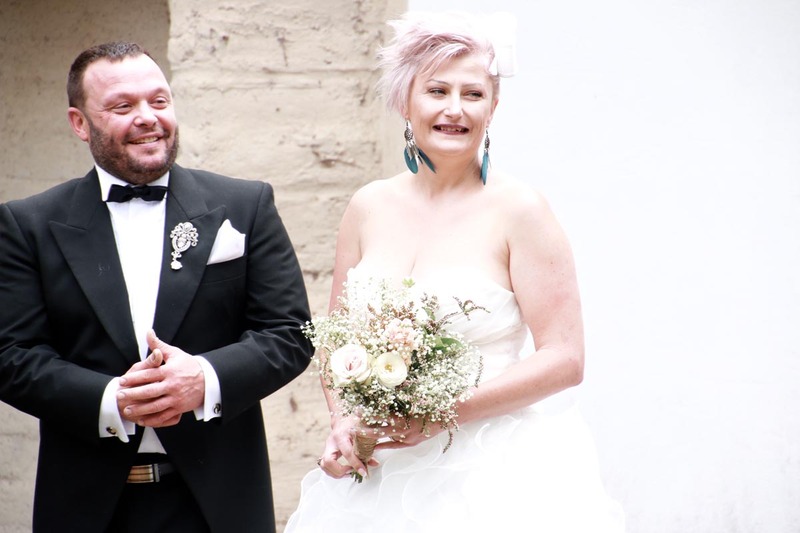 For the special occasion, Simon sought the help of Rundle Tailoring in his quest to surprise his bride-to-be by dressing for the occasion in a morning tails suit, a far cry from his standard work shorts and shirt. 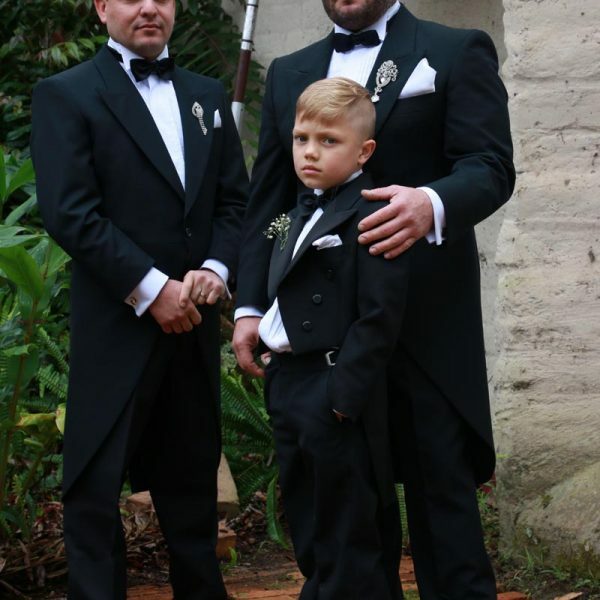 Unbeknown to Shelly, Simon organised all the groom’s party outfits, with Simon, his groomsmen (and brother), Liam and his son Darcy in tails. 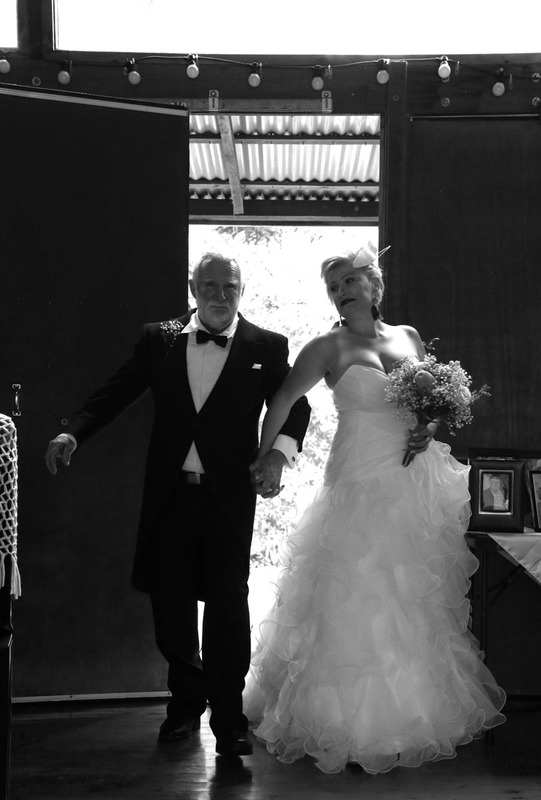 Simon certainly looked like royalty on the day and Shelly looked very much his Princess. 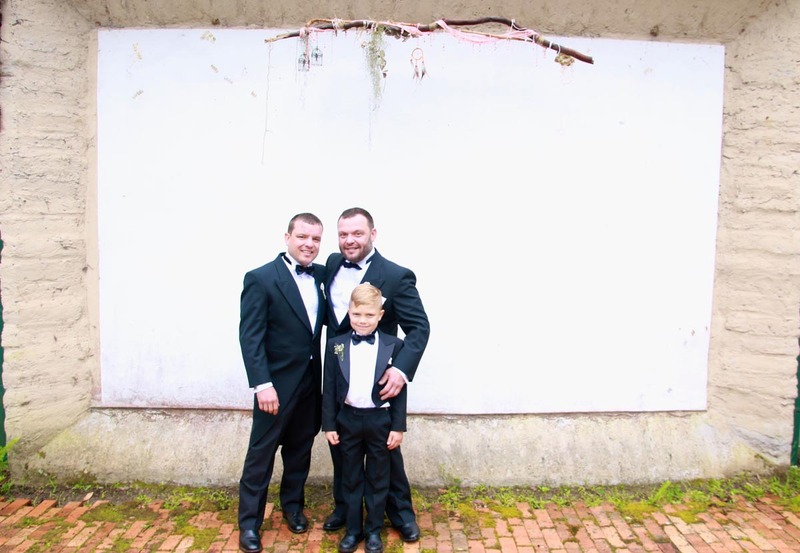 We were thrilled to have the opportunity to assist Simon in dressing for his wedding day and wish the couple all the best in their life together. 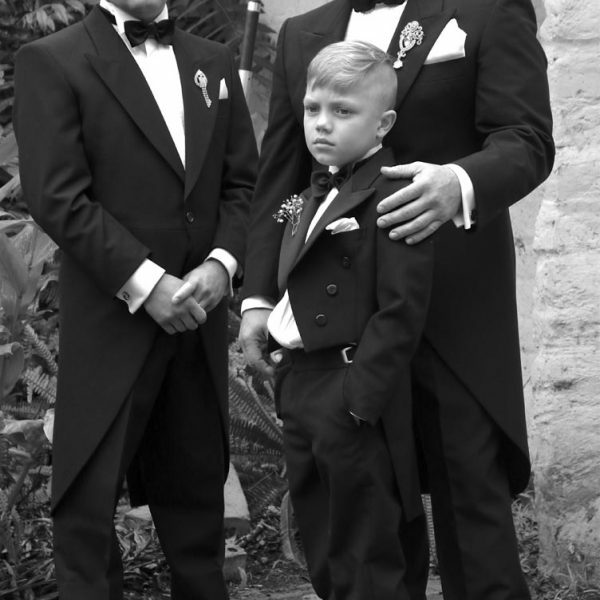 Simon was also happy with his experience with Rundle Tailoring. 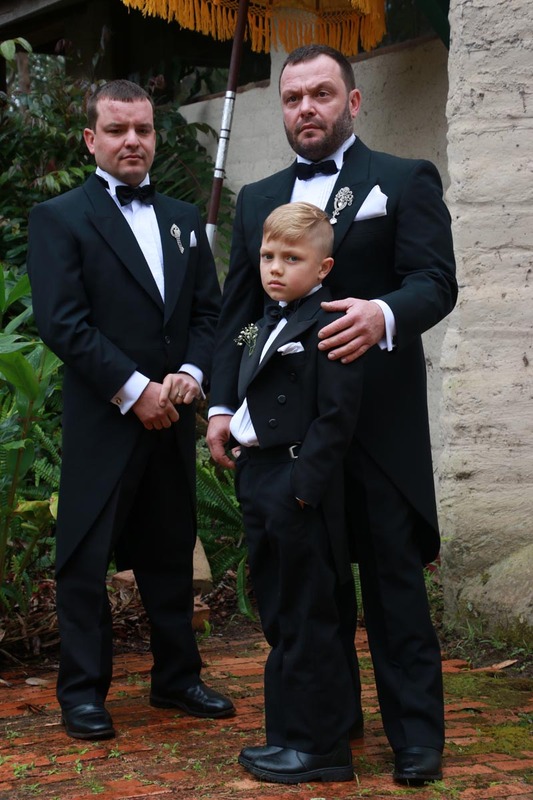 Simon and his groomsman chose to hire Rundle Tailoring black morning tails with a white pleated front dinner shirt and black bow tie. 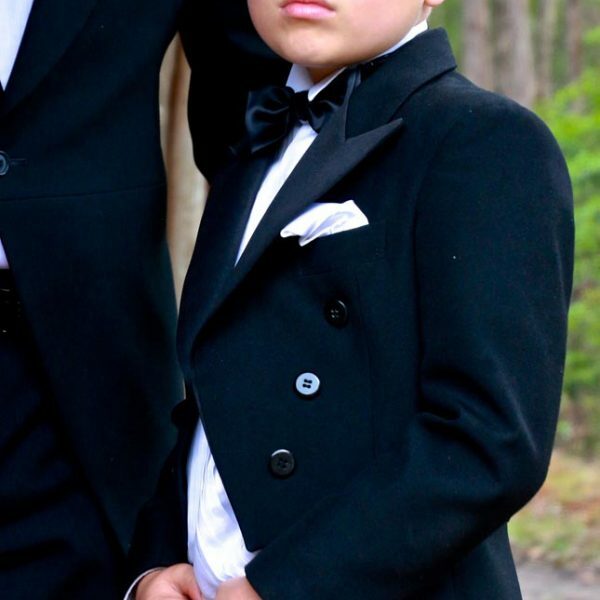 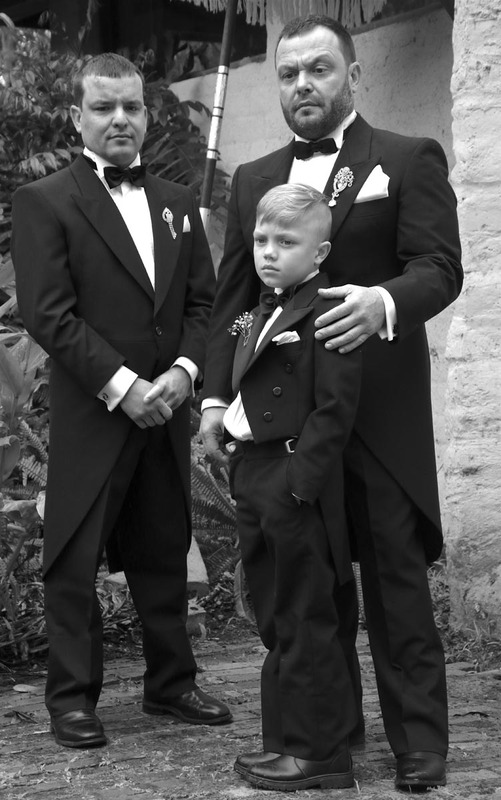 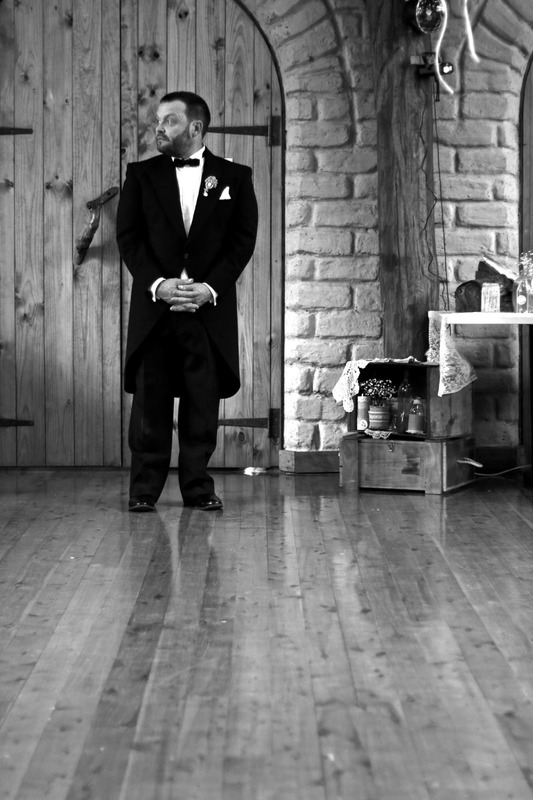 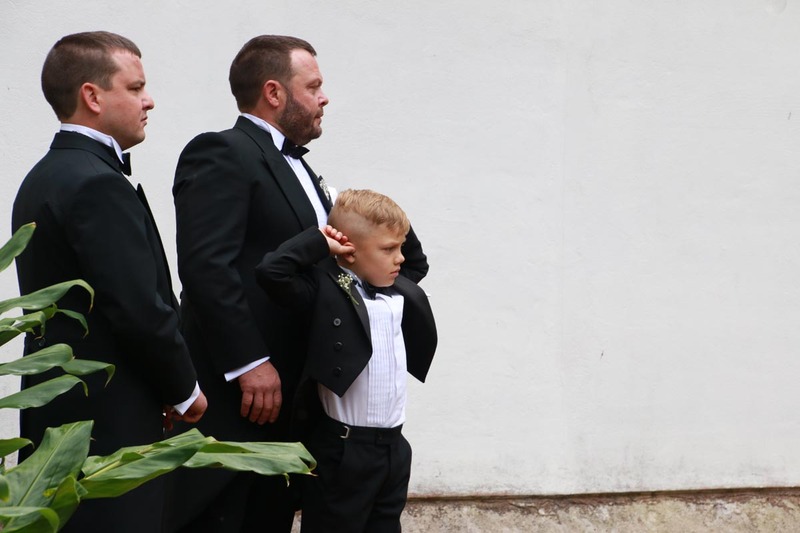 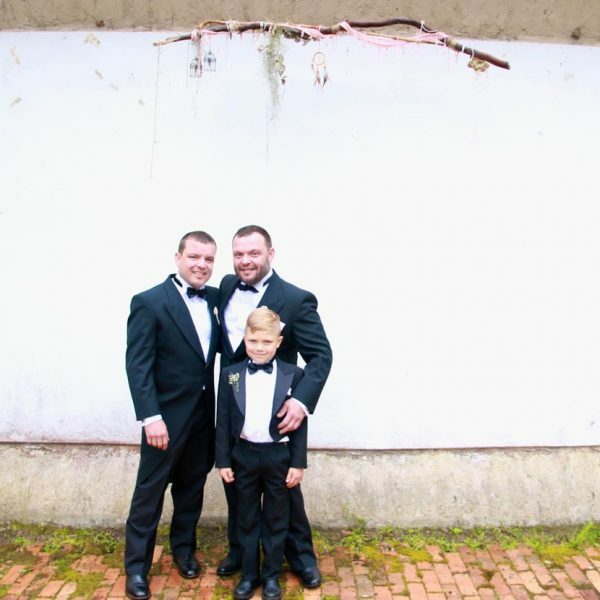 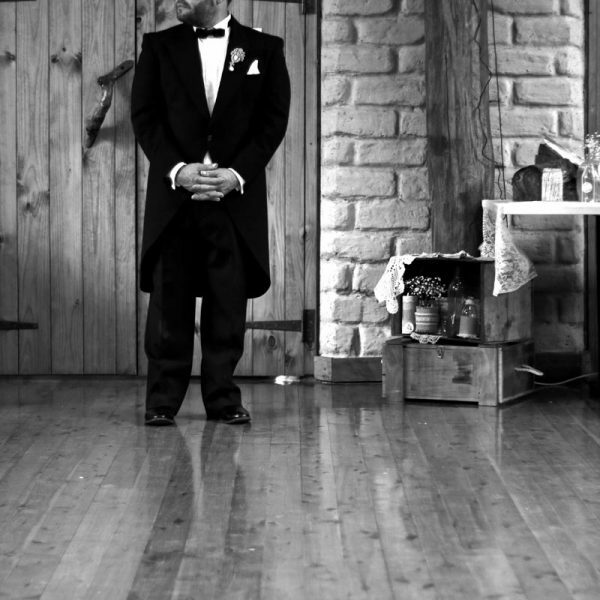 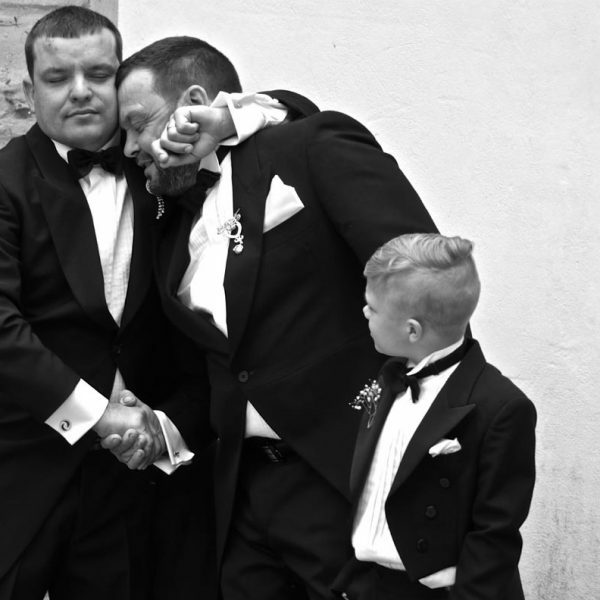 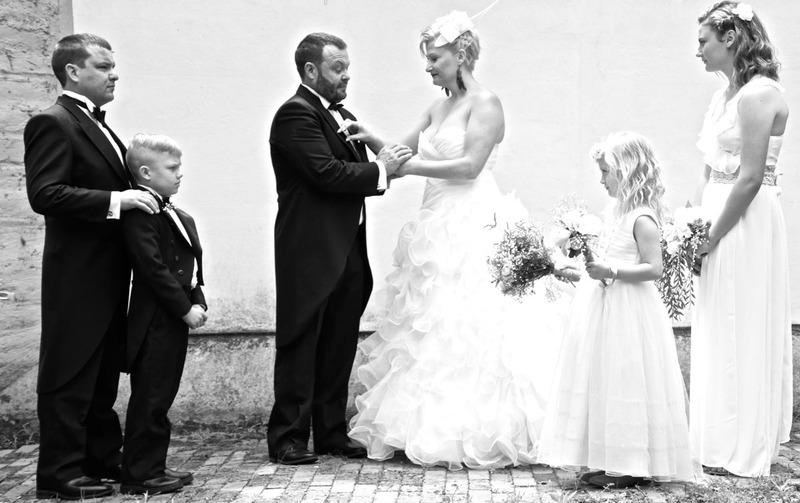 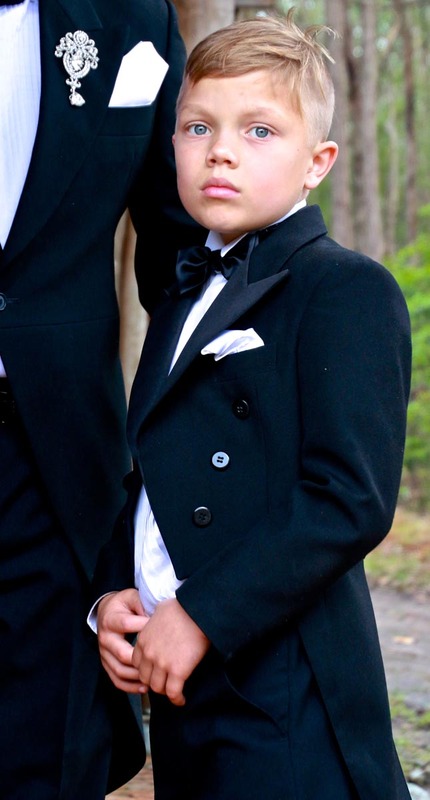 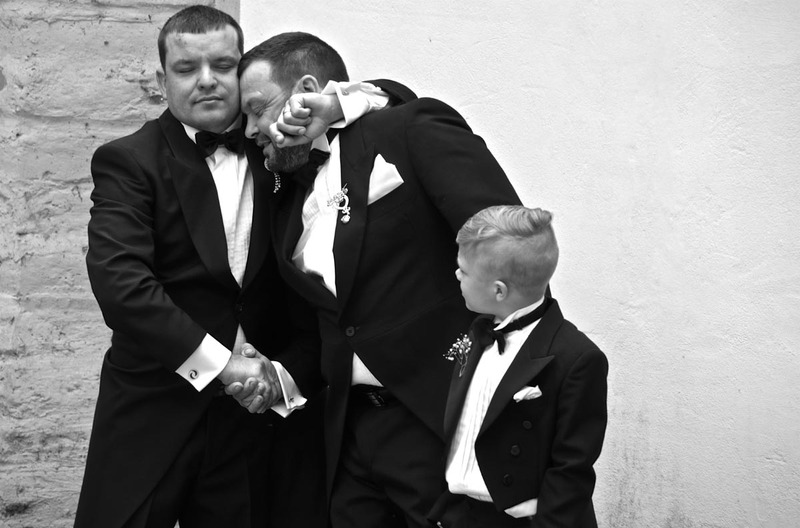 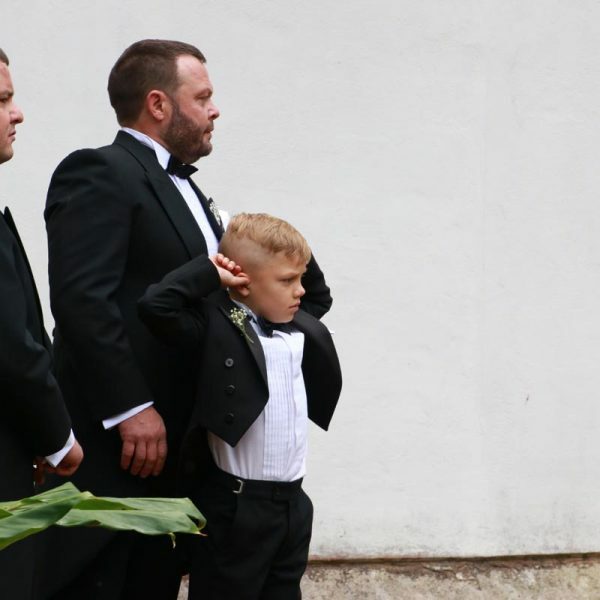 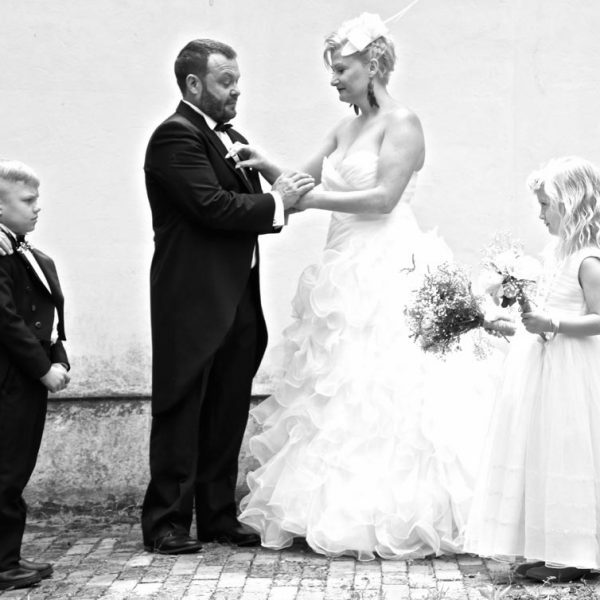 His son wore a pageboy tails suit, white shirt and black bow tie. 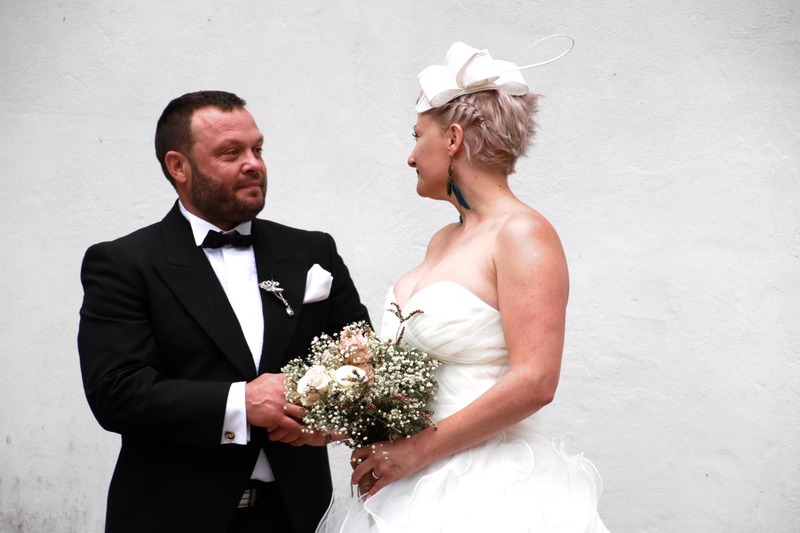 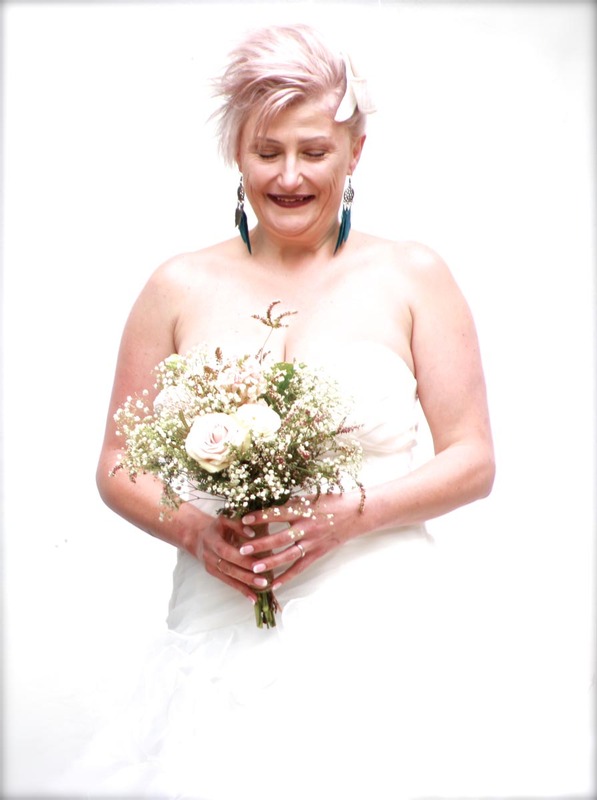 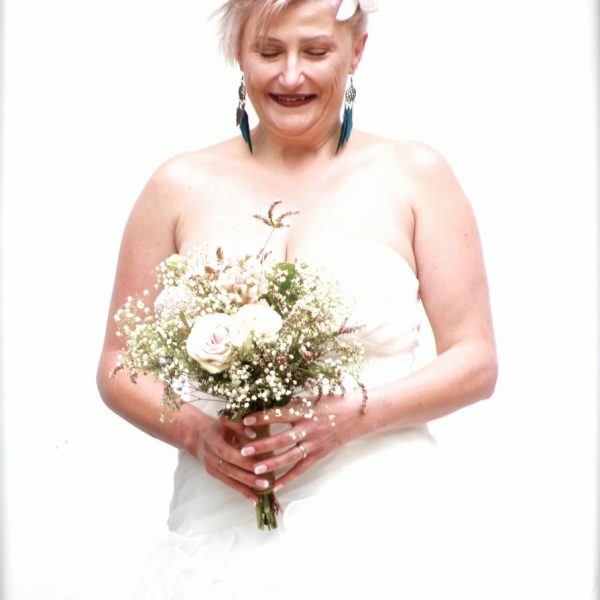 Rundle Tailoring Tip: Why not surprise your bride by wearing morning tails. 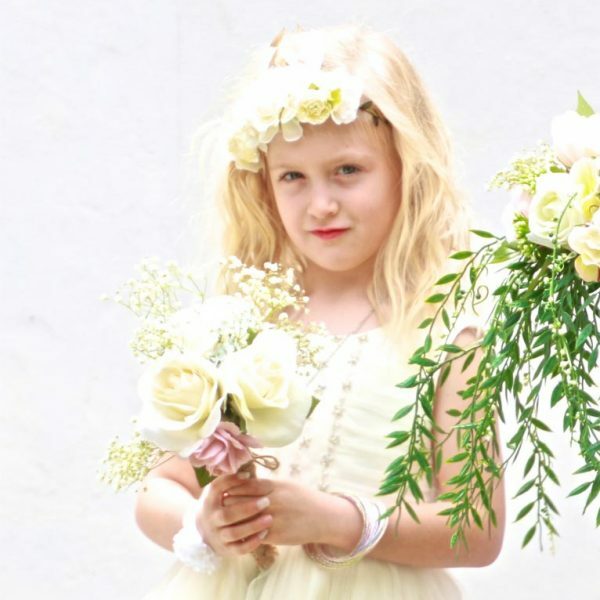 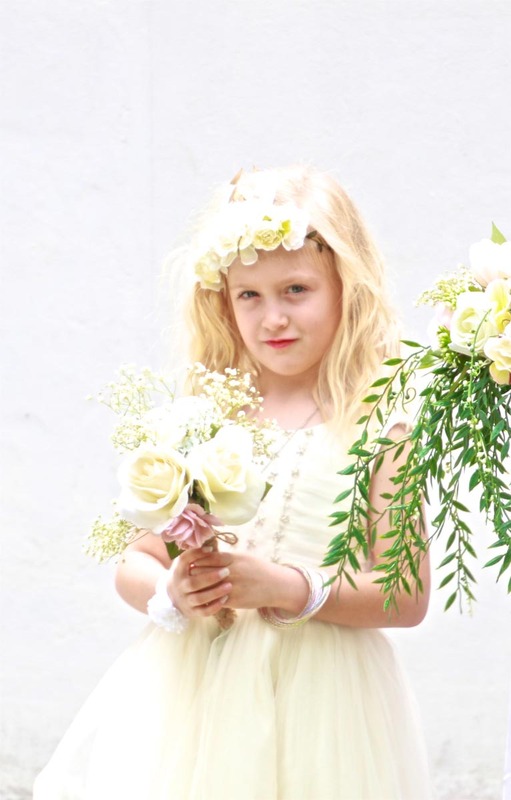 It’s perfect for a formal wedding and it will definitely make a romantic statement.